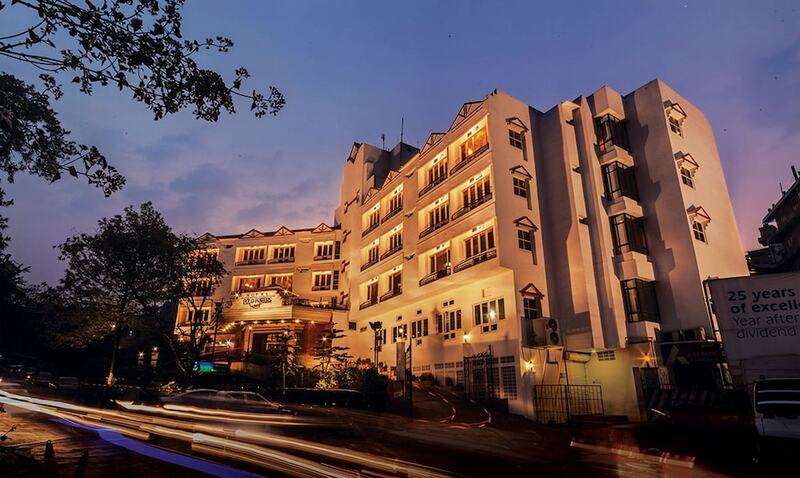 Located in Police Bazar, this hotel is within 1 mi (2 km) of Wards Lake, Jawaharlal Nehru Stadium, and Golf Links Shillong. Don Bosco Center for Indigenous Cultures is 2 mi (3.1 km) away. A restaurant, a health club, and a bar/lounge are available at this smoke-free hotel. Free WiFi in public areas and free self parking are also provided. Other amenities include a coffee shop/café, massage/treatment rooms, and a business center. All 51 rooms offer free wired Internet, minibars, and flat-screen TVs with cable channels. Other amenities available to guests include room service, rainfall showerheads, and coffee makers. Dining options at the hotel include a restaurant and a coffee shop/café. A bar/lounge is on site where guests can unwind with a drink. Business-related amenities at this 4-star property consist of a business center and a meeting room. Wireless Internet access is complimentary. This business-friendly hotel also offers a health club, spa services, and tour/ticket assistance. For a surcharge, a shuttle from the airport to the hotel (available 24 hours) is offered to guests. Complimentary self parking is available on site. HOTEL POLO TOWERS SHILLONG is a smoke-free property. Buffet breakfasts are available for a surcharge and are served each morning between 7:30 AM and 10 AM. HOTEL POLO TOWERS SHILLONG has a restaurant on site. Start your morning with a buffet breakfast, available each day from 7:30 AM to 10 AM for a surcharge. You can order up room service during limited hours. Recreational amenities at the hotel include a health club. If you are planning to arrive after 1 PM please contact the property in advance using the information on the booking confirmation. Taxes are subject to change based on Goods and Services Tax (GST) implementation. For more details, please contact the property using the information on the reservation confirmation received after booking. This property offers transfers from the airport (surcharges may apply). Guests must contact the property with arrival details before travel, using the contact information on the booking confirmation. Reservations are required for massage services and spa treatments. Reservations can be made by contacting the hotel prior to arrival, using the contact information on the booking confirmation. Only registered guests are allowed in the guestrooms.